The hills near Winden gently roll towards Lake Neusiedl. They inhale the mild climate of the region deeply, absorb the humidity in the air, and are warmed by the strong rays of the sun. Having been shaped and nurtured by the unique climate for hundreds of years, the vineyard offers exceptionally favourable conditions for winegrowing in its truest form. The foundation for today's viticulture on Kirchberg was laid by the Cistercian monks from the Heiligenkreuz monastery. King Emmerich donated a tract of land in 1203, and the industrious monks soon realised Kirchberg's potential for winegrowing. Armed with knowledge, love and devotion, the deserted marsh-land was transformed over the years into a true winegrowing paradise. 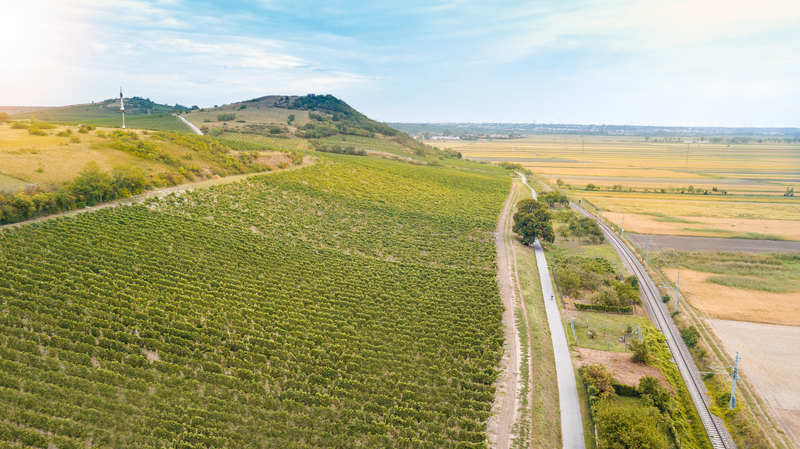 Today Kirchberg is considered one of the classic premium terroirs in Burgenland and is one of the Höpler Estate's top sites. Not only do the Blaufränkish, St. Laurent and Cabernet Sauvignon grapes ripen beautifully on its slopes, but also the Merlot and Syrah. The reflection from Lake Neusiedl and the mild Pannonian climate ensure that the fruits ripen perfectly and develop their typical flavour.